If you haven’t heard already, Corner 23 opened a new restaurant called Uncle Lu in Continental Square in Richmond. It’s right in the corner so it might be easy to miss. My parents took me here for lunch on the weekend and at the entrance, there is a list where you can put down your name. It was quite empty when we got there around 1pm so we didn’t need the list. The ceiling is decorated with a lot of Chinese lanterns. My dad had the BBQ Pork Fried Noodle and for him, the dish was on the small side. Would’ve been alright for me. I know the picture makes it look like there is more though. I feel like if I had this at Pearl Castle (which is also in the same plaza) there would’ve been more noodles? 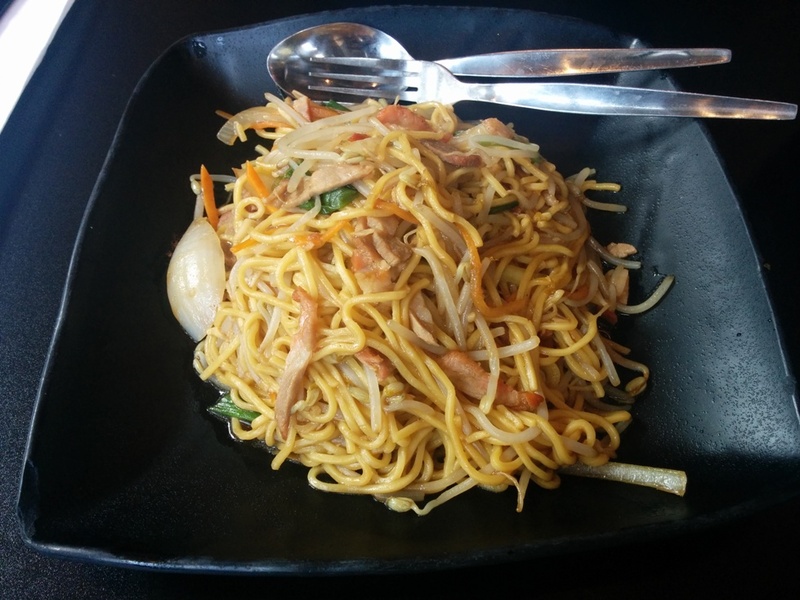 The noodles were quite soft but not too oily. I had the Deep Fried Chicken Thigh with rice set and it came with some cabbage, celery and gluten as side dishes. The chicken thigh was well seasoned and very tender! Can’t go wrong with this! Finally, my mom had the Wan Luan Rice Noodle Soup. 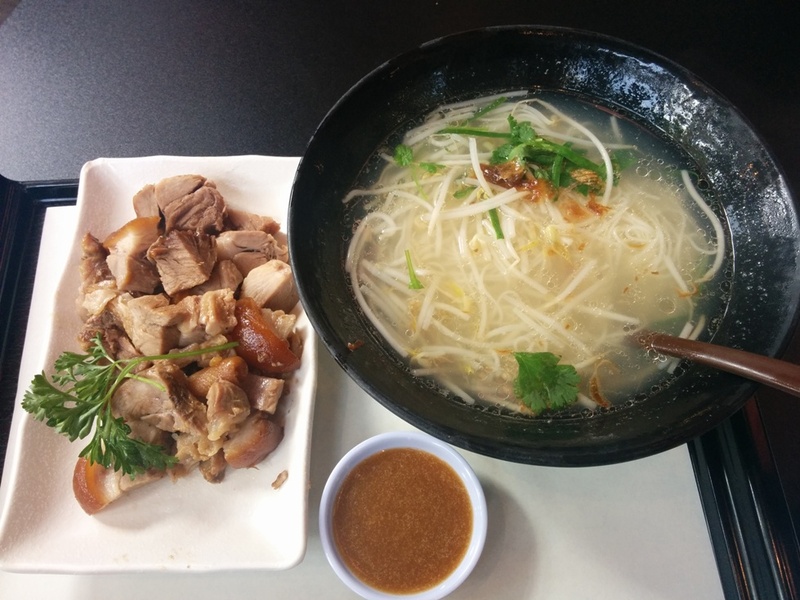 It comes with vermicelli noodles in a very light and flavourless broth. 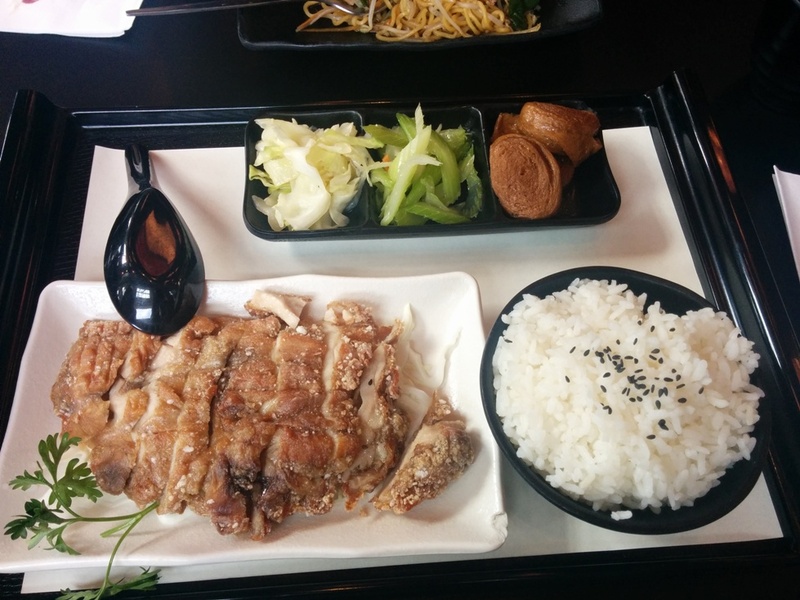 The pork hock was really good as usual with the right amount of fattiness and the garlic sauce is delicious! My last few experiences at Corner 23 were sub-par so I feel like Uncle Lu is better. This entry was posted in Asian, Food Reviews, Taiwanese and tagged bbq pork, deep fried chicken, noodles, pork hock, Taiwanese.